Los Angeles, 1 August 2016– The Cinema Audio Society has opened applications for the CAS Student Recognition Award. First presented at the CAS Award Dinner in 2015, this honor comes with a $2,500 cash award and is intended to encourage students’ interest in production or post-production sound mixing, and to recognize individual students with exceptional demonstrated passion for the field. The selection criteria will focus on the student’s short essays in response to application questions, along with a professor’s recommendation letter. Five finalists will be invited to the 53rd CAS Awards, on February 18th 2017, as guests of the CAS (travel expenses not included), where the Student Recognition Award recipient will be announced. Eligibility for the CAS Student Recognition Award is open to any student enrolled in a Bachelor’s or Master’s degree program at an accredited college or university. Students may be pursuing any major (indeed, many current CAS members majored in music, psychology, English, engineering and other fields), but should have a demonstrated interest and some experience in production and/or post-production sound mixing for film and television. Please share the word and encourage students who fit the criteria to apply. 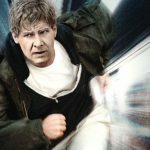 CAS Member Screening and Reception: The Fugitive.